Simple yet essential, shelves come in all shapes, sizes and styles. 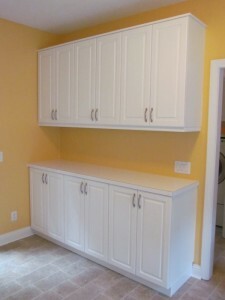 We’re often asked about the options for sizes of shelving for various areas around the house. 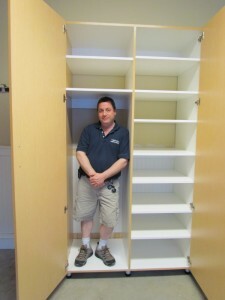 Since we manufacture each project to fit your spaces and intended uses, we can make shelves in virtually any size, however, there are ‘standard’ sizes that tend to work particularly well for particular uses. 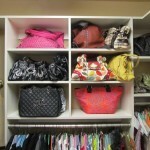 Spacing between shelves is rarely an issue since most of our shelves are easily adjustable in height. 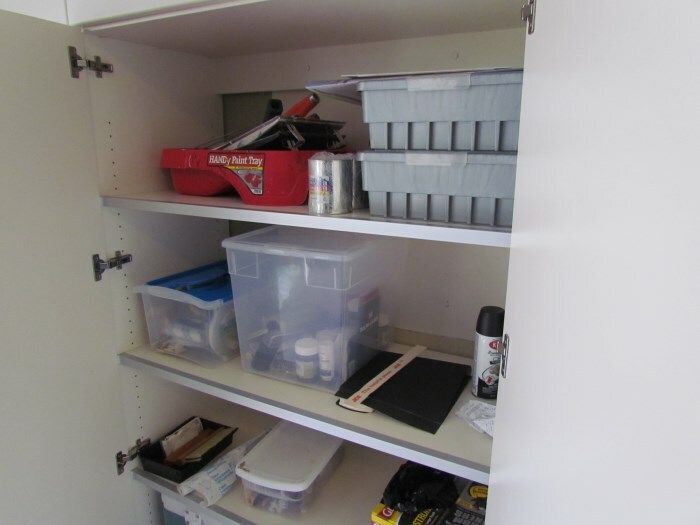 When deciding how many adjustable shelves to include we usually allow 4 ½ – 7 inches for shoes, 10-12 inches for folded clothes and general use, and a little more for bulky items such as in linen closets or when the shelves will be used for large plastic tubs or bins. 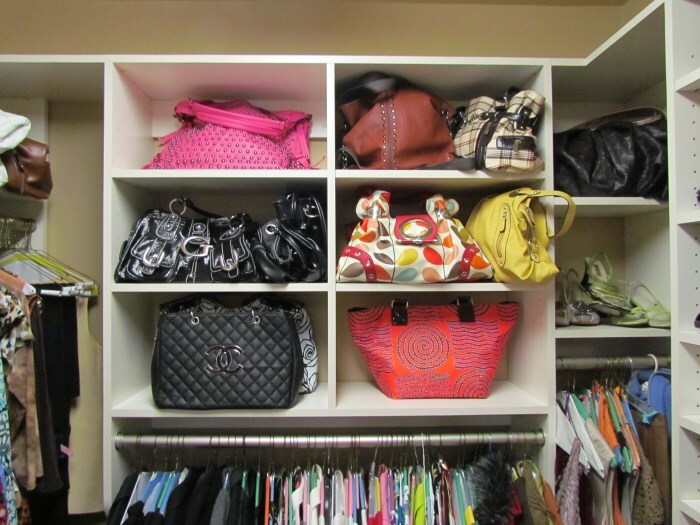 Most typical closet shelving is 14” deep, partly because that depth works well for most folded clothing but also because that dimension provides excellent yield from the typical sizes of materials that are available to closet manufacturers, which minimizes waste. 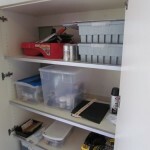 Flat shoe shelves usually only need to be 12” deep, while 14” works better for angled shoe shelves with fences. We’ll often design 16” deep shelves for pantries, linen closets, and laundry room cabinets above washing machines, and 18” is not unusual for garage storage and other long-term, bulky items or oversized plastic bins. 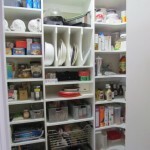 Specific items such as safes, yard equipment, or storage bins might require even deeper shelving. 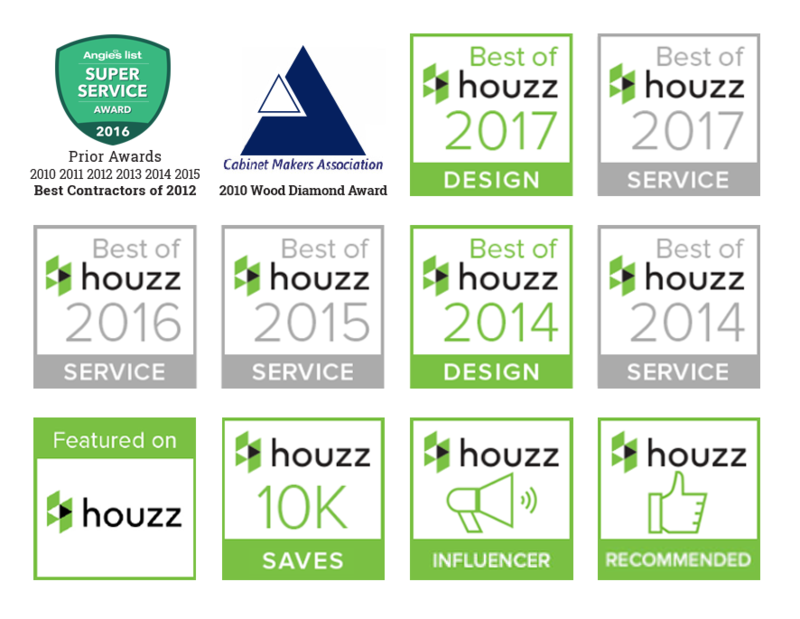 For areas that look more like cabinetry than closets, we’ll often utilize typical base cabinet depths of 20-24 inches, and upper cabinets 12-14 inches deep, depending on the space available and the function and/or contents of the cabinets. Shelf widths are almost always determined at least partly by the width of the wall or the available space, divided into appropriately sized sections. 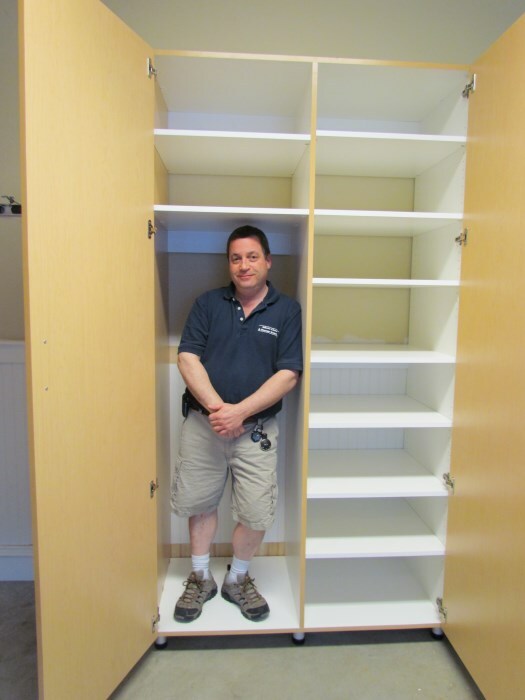 For closets, 18” and 24” wide shelves are common as those are sizes of standard accessories such as hampers and jewelry trays that are available, however we’ll design whatever width makes the most sense for that spot. 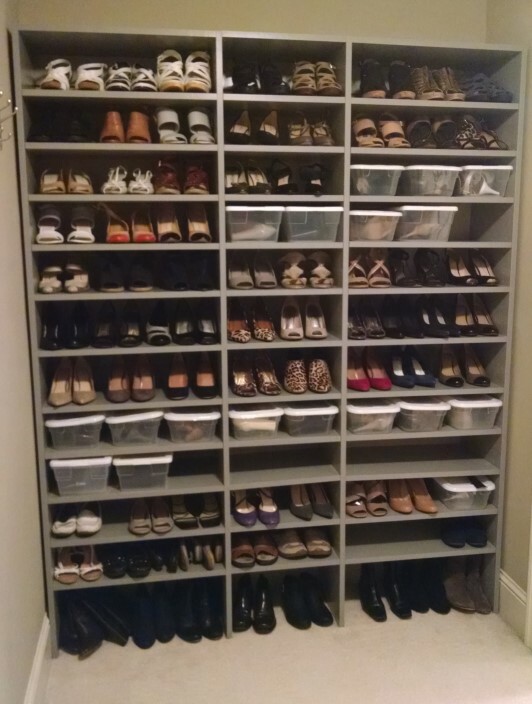 We usually allow 8” per pair of shoes for women’s shoes and 9” for men’s, which often translates into 24” or 32” wide shelves for women (3 or 4 pair per shelf) or a little wider for men. 24-26 inches wide will accommodate two stacks of folded shirts or similar items side by side, or folded jeans or pants laying sideways. Note that to prevent sagging, we prefer to make adjustable shelves no wider than 30-32 inches, or less when they will be loaded with heavy items. We can make adjustable shelves wider when needed, by adding a wood or metal stiffener. This often comes in handy in garages or other areas where large objects need to be stored. 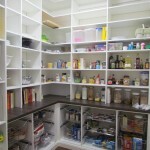 For rooms such as pantries, craft rooms, media rooms, and offices, providing a variety of sizes is often more important than finding a perfect size. 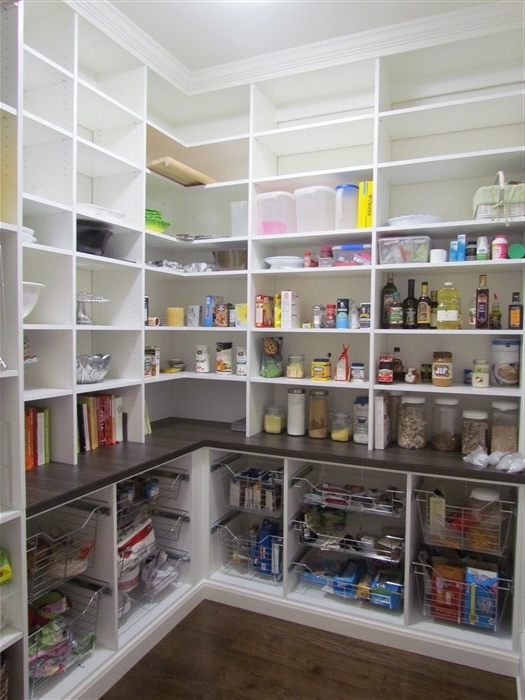 For pantries, we always try to mix areas for smaller items such as canned goods and spices, which prefer shallower shelves spaced closer together, with deeper, taller spaces for items such as cereal boxes, canisters, and small appliances. 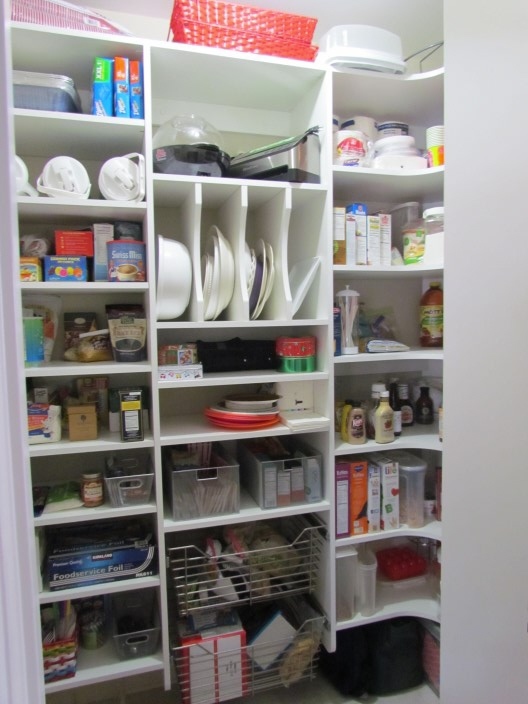 A common mistake we see in pantries is to install fixed (non-adjustable) shelving that spans from wall to wall, about 12”-14” apart, which works fine for some items but is too tall for efficient storage of most pantry items, resulting in plenty of wasted space, or unwieldy stacks of smaller items. Finally, when designing shelving for specific items (we’ve been asked to create shelves to accommodate wheelbarrows, shot glasses and just about everything in between), nothing beats getting out the tape measure and making sure it’s going to fit just right!